Predict Copa America scores and challenge your friends in Superbru's free Copa America Predictor game. Play on the web or download our iOS and Android apps. Earn 1pt if you predict the right outcome but your score is not close. If your outcome is right and your score is close (according to our special formula), you'll earn 1.5pts. 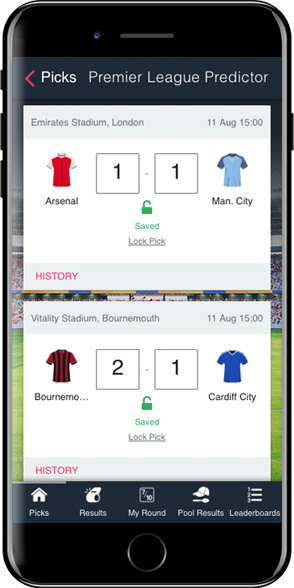 Nothing feels better than the 3pts you will earn for correctly predicting an exact score! Superbru® and the Superbru Logo are registered trademarks of SportEngage Ltd. Copyright © 2006 - 2019 SportEngage Ltd. Please see our full copyright notice.